Whilst working across North West England we often get asked to complete work involving the creation of natural environmental habitats through activities such as tree planting and digging out of wetlands through to the continual maintenance of such areas, as described below. 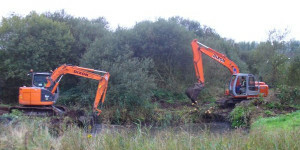 Clearing out of ditches/ponds/lakes of debris and vegetation to improve drainage and re-juvenate waterways. 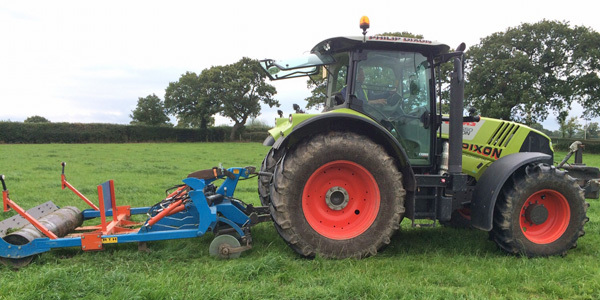 Grassland Management using flail mower to create grass swards at various heights. 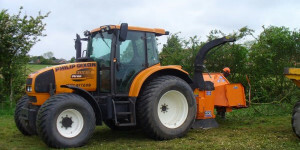 Hedgerow management work using the woodchipper for recycling brush, creating chippings for use on site. 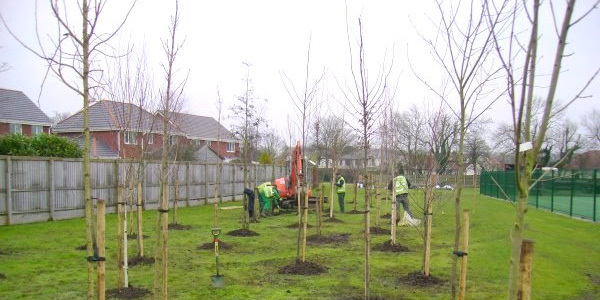 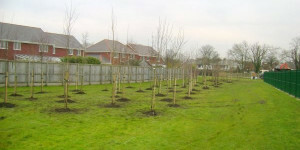 Planting of deciduous standard trees, adhering to a designated planting scheme to create a screen. 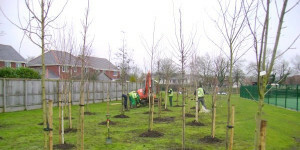 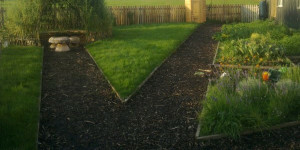 An area of land adjacent to a local Primary School was transformed into an environmental area for the Children to use. This was achieved by levelling and sectioning areas off, installing wood chip paths and creating raised vegetable beds with a wetland area. The demands of grazing and the regular use of machinery, often in wet and highly unfavourable conditions, is very destructive to soil structure and results in the condition described as compaction. Compaction starts at the surface and builds progressively throughout the soil profile often to considerable depths preventing water penetration and the movement and up-take of all essential elements. 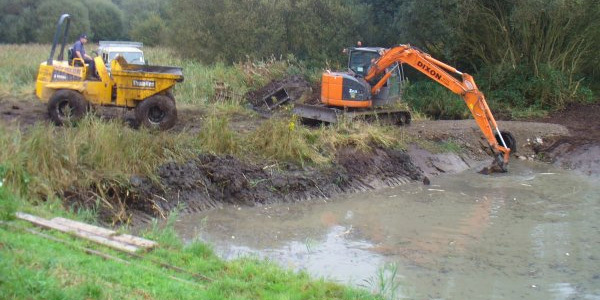 Over the years field operators equipment has become larger and heavier causing deeper compaction. 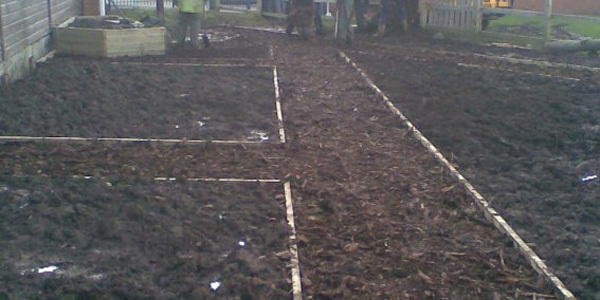 An appropriate aeration program can increase worm population and activity, and transform shallow rooting to deep rooting. 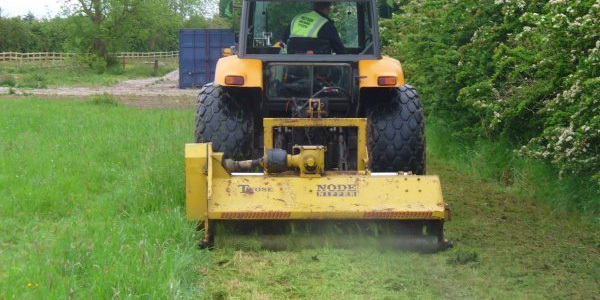 This in turn will increase pasture growth. 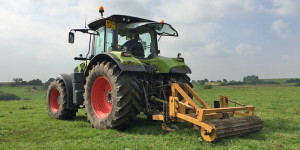 The overall soil structure will be more free draining which will improve plant production in the wet and the increased root depth will improve grass production in dry conditions. 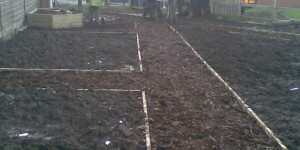 The Shakaerator’s unique vibration action breaks up the soil and eases the passage of the legs through the ground. This reduces soil disturbance and ensures peak performance.